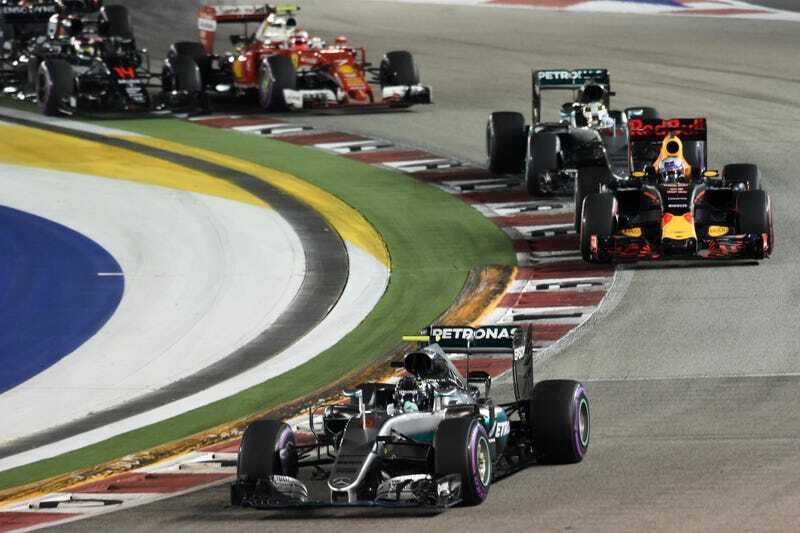 If you haven’t heard, Nico Rosberg won today’s Formula One Singapore Grand Prix. But no one needed to tell you that, because you knew it would either be him or his teammate, Lewis Hamilton. The universe just won’t have it any other way! One day, this suffering through the same winners every weekend will be over. One day, this era will end and we can all look back and laugh about it. If we’re honest, I began writing this before lap 40 of 61 during Sunday’s race. I simply put place markers where Hamilton or Rosberg’s names would go, since the only surprise fate will allow us to have is which one of those guys will finish first. Daniel Ricciardo, who finished second, closed the gap to leader Rosberg to under a half of a second by the last lap, but fate just wouldn’t let him have that race. Yes, mom. Maybe. Maybe one day. But that day was not today. At least the Singapore Grand Prix doesn’t disappoint, with fans and marshals —and even lizards!—deciding to stroll on the race track. 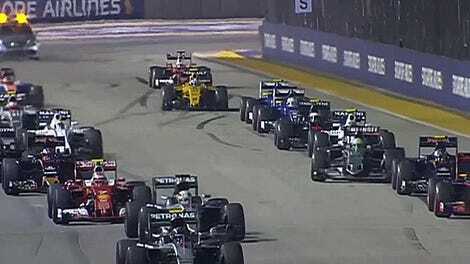 Maybe it’s to throw those Mercedes teammates off of their game. I can hope, can’t I? Maybe waking up at 7 a.m. to watch a race with a predictable outcome is just making me slightly cranky. But I keep doing it, because maybe, just maybe, someone else will win.